The news was horrific. Essentially The Hobbit: An Unexpected Journey was dead on arrival and if not a box office failure at least a disappointment and this on top of less-than-stellar reviews. Maybe Peter Jackson was lost in Middle-earth. Maybe the public and critics were just tired of adaptations of J.R.R. Tolkien. Maybe LOTR was lightning in a bottle. Turns out though rumors of the demise of The Hobbit were greatly exaggerated. I will be dismissed as a website-contributing fanboy of course. I couldn’t possibly have a love for fantasy literature and Tolkien and an appreciation for the fantastic in cinema and still be objective. So decide for yourself if my viewpoint is skewed, but I think I am being objective, I am certainly not the only writer around who has his bare bias showing. It seems clear that some writers were rooting for and proclaiming failure prematurely. None of this would matter except that bad buzz around a film does affect the film’s earnings. Bad reviews (more on that later) and then bad performance likely convinces casual viewers to stay away. These aren’t presented as opinions but as news with expert analysis. Another possible explanation is that you, Mr. Writer, were wrong. The story sounds pretty reasonable, right? Except it isn’t and the sites where they originated, should know better. Folks on message boards were following his lead though, dubbing the film “The Flobbit” or “The Floppit” due to its perceived and inaccurate failures. 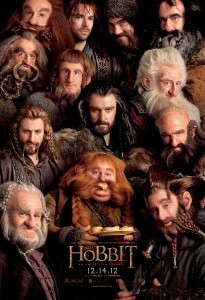 Remember those midnight screenings in mid-December that gave The Hobbit the largest ever December opening? That was never going to be duplicated the following weekend. But numbers are numbers right? Well yes, but numbers in perspective are even better numbers. So Hobbit dropped 56% on the weekend. A plummet? Not when compared to the other top movies of the year. The Avengers dropped 50% and became the biggest blockbuster ever, The Dark Knight Rises dropped 61% (amidst a horrible shooting) The Hunger Games 61%, Skyfall 53% and the last Twilight film 69%. 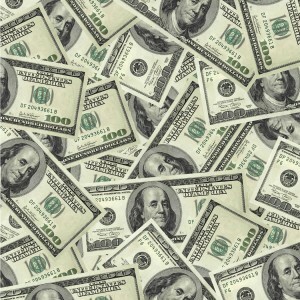 Those are currently the biggest films of 2012 financially. While “plummet” might be dictionary accurate, it is just exactly what could have been expected, especially in the busiest shopping weekend of the year. And for the record, to fully disclose, I liked all of those films save one, so I am not rooting against films financially. So yes, all the box office websites and film news reports should know better but mostly reported that it was disaster for The Hobbit. False. There is another factor, just as important at work here. It was pre-Christmas weekend and movies perform much differently during that season. Films that open on the holiday work differently than films that open on traditional Fridays. Movie-business wisdom suggests, with a term called “multiples” that a film might make two or three times its opening weekend for the life of the movie. Christmas movies are “guaranteed” to make four times their opening and can hope for five or six times that number. The weekend before a Christmas-Eve Monday was way down at the box office for obvious reasons: People were busy getting ready for the holiday. Grocery stores and malls were packed, megaplexes suffered. Again, box office tracking websites should know better. Here are some other samples including the first one from the guy who gets on CNN and lots of other places to be the “box office expert” talking head and advertises that widely. Again, I expect experts to know better and he was defending its numbers, call the box office “tough” a little prematurely. 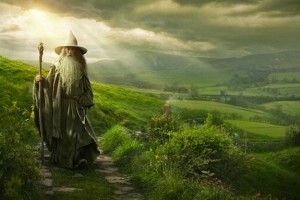 “Sure, The Hobbit: An Unexpected Journey set a December record last weekend when it opened with $84.5 million, but after eight days in theaters, it’s now clear that the Lord of the Rings prequel is running well behind the final LOTR film, The Return of the King, which earned $377.8 in 2003 — without 3D and IMAX surcharges. After 21 days in release the film will sit at $250+ million domestically with two thirds of its audience being from non-U.S. outlets with $514 million, bringing the total to comfortably over $760 million in three weeks. Disaster averted, $300 million in sight. After the second weekend and its reports of plummeting, the film finished in third place on Christmas to two movies with Christmas openings: Les Miserables and Django Unchained. More disaster reported. The Hobbit was again “fading fast” and destined to not only wind up a disappointment, but would it force the studios to force Jackson to make shorter films? Ho-hum. By the weekend, The Hobbit was back on top winning its third weekend in a row while those two films came down off their debut highs. In full disclosure, I liked both of those films a lot too which brings us to another problem. The reporting of box office totals comes full of Movie X vs. Movie Y drama but is rather ridiculous. Skyfall just passed the $1 billion mark, the 14th film ever to do so worldwide, but it didn’t “win” a chain of incredible weekends. It was an entertaining film with beautiful cinematography that people (including Hobbit viewers) liked and told friends about. I know the competition aspect of movie vs. movie is just too hard to pass up, but it doesn’t work and isn’t fair but it is effective at creating false drama and gets considerable clicks. I don’t attend one movie and see it as a victory over another film I didn’t see. Make all good movies, we will see them all. While I am complaining, writers also should stop calling The Hobbit part of the LOTR series because it isn’t, and as the Tough Hobbit Journey story above wisely pointed out, it should be thought of as its own series. The Hobbit is also not a prequel, invented after-the-fact, to make more story or explain anything. It stands on its own and did so before there was a LOTR and was written first. Preaching to the choir here, I know. “The Hobbit: An Unexpected Journey once again dominated the overseas box office this weekend, though its noticeable drop suggests it doesn’t have any chance of it matching Return of the King in the long run. So really? 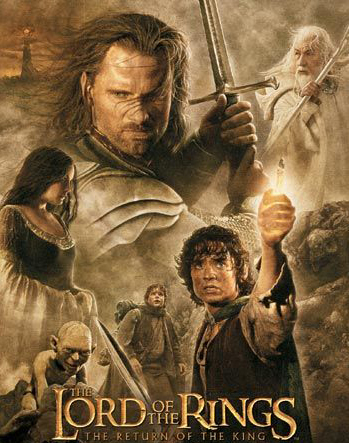 It isn’t Return of the King? Rather than report The Hobbit is making serious bank, despite your dire predictions, and it performed well though the holidays, the story is its failure to make $1 billion? And, if that were the point, with “only” $250 million to go to reach that number, when is it no longer “well short” and are we sure that will not happen? It is destined to have much less staying power than, say, Skyfall? Whatever the right and wrong of it all, I think the $600 million invested by movie studios in a product that has a three-year-yield window, would be pretty happy with a $750+ million earned in 21 days. Next week we will be treated to tales and headlines of how the latest Texas Chainsaw Massacre movie “slays the competition” at the box office, unless it doesn’t finish first and then we can read how it was slain by other films, perhaps including The Hobbit. 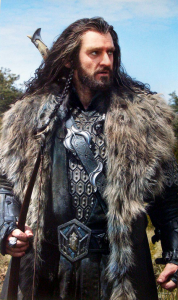 The third film will be a test of Thorin’s Oakenshield’s character. None of this really matters for those who simply like the movie. Once the film is on safe financial footing, and the studio is happy to let Jackson do his thing twice more, who cares? Well I do for one. Accuracy is always important. Not shorthanded, easy reporting, but actual accuracy. That comes from my background as a journalist and as a film aficionado. From the same place comes my belief that word choices, like “plummeted” do matter. If you use that in a headline (and writers of stories often do not write headlines) make sure it really means that and it is accurate and isn’t just there to grab extra clicks. TheOneRing.net and I don’t make any extra money from The Hobbit since we make none at all to begin with. I really hope all good films always find an audience and empower filmmakers to tell stories. (Speaking of movie goers, another topic for another day is my belief that critics are completely, wildly out of touch with film audiences but nobody needs to hear that rant – or let me know if you do.) But permit me one final point, that is directed very squarely at Warner Bros., MGM and New Line and the production company behind The Hobbit. 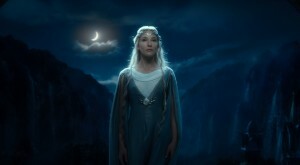 Send, to be added to digital copies of your digital movie, a teaser trailer for The Hobbit: The Desolation of Smaug. People want to watch your movie again and again but reward them for repeat viewings with some idea of what is in store next December. Tack it on after the credits so folks can enjoy the film, sit through the credits and then thrill with the promise of things to come. You managed it almost a decade ago with the LOTR films, so no excuses. If you have a will, you can do it again and it would win a lot of hearts and minds.